8. 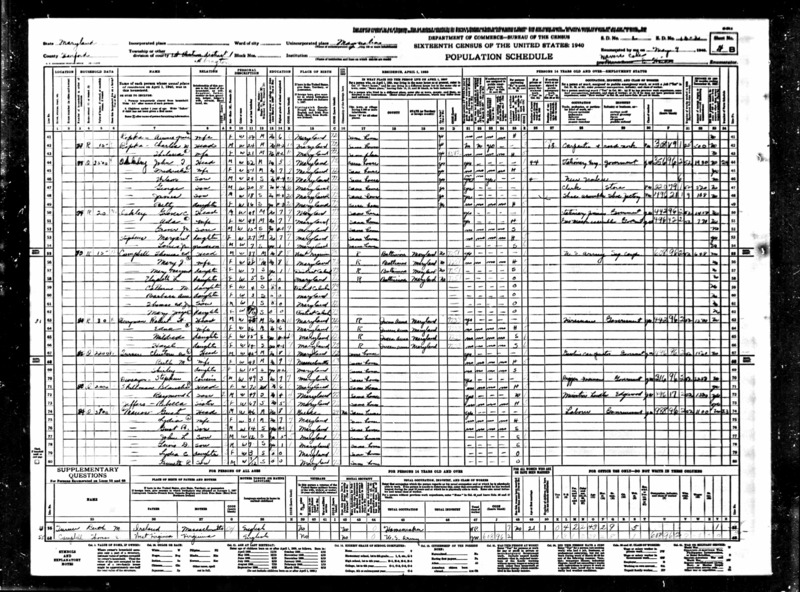 Campbell, Mary Joseph, daughter, age [unreadable fraction], not attending school, born DC, received no other income. 2. Education: MA from Towson State Teachers College. 3. Story, 8 May 1969, Annapolis, Anne Arundel County, Maryland, United States. Catherine M Campbell of Glen Burnie Park Elementary School received the American Association of University Women (AAUW) "Outstanding Classroom Teacher" award from the Annapolis Branch of the AAUW. 4. Residence: 202 Overbrook Rd: Baltimore, Maryland, United States. 5. Residence: 608 Rolling Hill Walk, #104: Odenton, Anne Arundel County, Maryland, United States. 6. Residence: 550 B Retreat Ct, 1994, Odenton, Anne Arundel County, Maryland, United States. 7. Appearance in Document: Social Security Death Index, 11 Nov 1994, Anne Arundel County, Maryland, United States. Catherine M Campbell, SSN 218-32-7371 issued 1951-52 in MD, b 29 Oct 1935, d 11 Nov 1994, last residence Odenton, Anne Arundel Co, MD. 10. Obituary, 12 Nov 1994. Obituary in Nov 12 1994 issue of the Virginian-Pilot [newspaper for Hampton Roads area], posted online at scholar.lib.vt.edu/VA-news/VA-Pilot/issues/1994/vp941112/11120110.htm: Catherine Marie "Kitty" Campbell, life resident of A. A. Co., died of cancer Nov 11, 1994 in her sisters home in Millersville. Her length of illness was four years. She was born in Washington D.C. and educated at Millersville Elem., St. Mary's School in Laurel Md., Arundel High School, Towson State Teachers College with Masters in Elementary Education. She retired in 1986 from A. A. Co. Schools. During her career she worked at Point Pleasant [Glen Burnie], Glen Burnie Park [Glen Burnie], Van Bokkelen [Severn] elementary schools. Upon retiring she continued as a volunteer educator for G. E. D. students, adults learning to read and home tutoring. 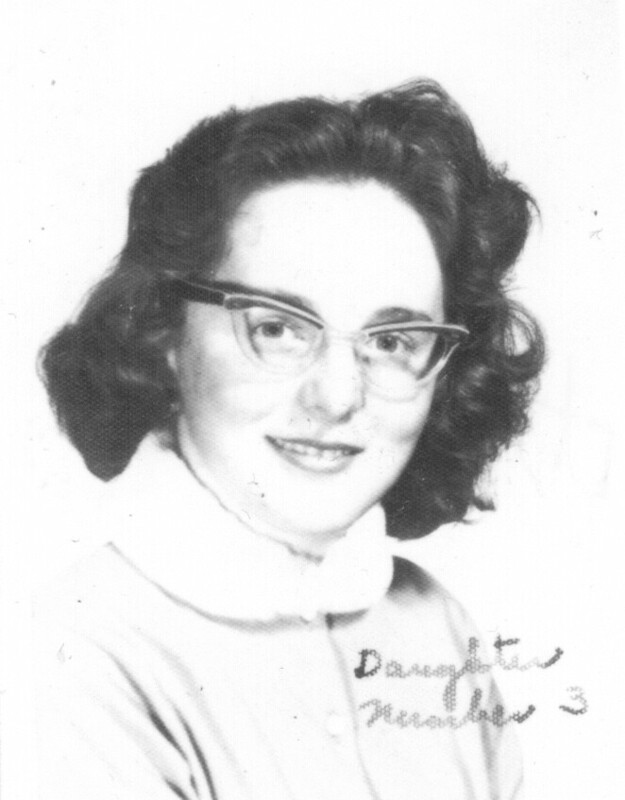 Mrs. Campbell was the Teacher of the Year in 1972 and 1975. She was a member and former CCD teacher at Our Lady of the Fields Catholic Church in Millersville, a member of A. R. E. in Virginia Beach, C. A. R. E. support group, O'Malley Senior Citizen Center [Odenton] and the Retired Teachers Assoc. She was active at Lions Gate Community Assoc [Lion's Gate is a condominium development]. Her hobbies were stamp collecting, crocheting and knitting. She also wrote two books, Guidelines for Beginning Teachers. Her parents were the late Capt. Thomas Edward Sr. and the late Mary Joseph Campbell. Survivors include sisters and brothers, Mary Margaret (Peggy) Raupuk, Glen Burnie, Elizabeth (Betty) Hope, Millersville, Barbara Ann Jordan, Cape St. Clair, Thomas Edward Campbell Jr., Odenton, Mary Jo Campbell, Kitty Hawk, N.C., William G. Campbell, Gambrills, Gertrude (Trudi) Hinze, Waldorf, Michael John Campbell, Santa Clair [sic, should be Clara], California, and the late Lawrence Campbell, Crownsville; 42 nieces and nephews. Mass of Christian Burial will be Monday, Nov. 14, at 1:00 pm in the Our Lady of the Fields Catholic Church, Millersville, Md. Interment Church Cemetery. Memorial contributions are suggested to the Hospice of the Chesapeake, 8424 Veterans Hwy. Millersville, Md. 21108 or American Cancer Society. Hardesty Funeral Home, P.A., Gambrills, Md. is handling arrangements.